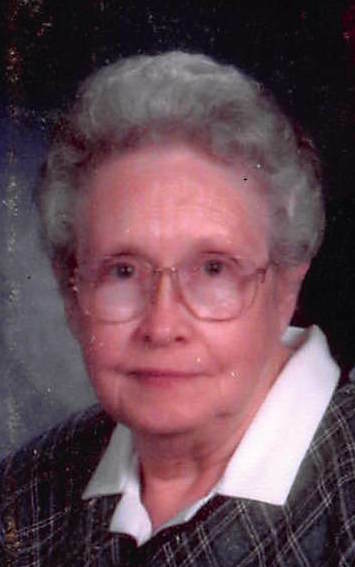 Meredith C. Carr, age 91, of Linton, passed away peacefully at 7:05 am on Monday, January 21, 2019, at Greene County General Hospital. She was born in Greene County, IN on May 29, 1927, the daughter of the late Edwin D. Goodman & Jennie (Andis) Goodman. She loved taking care of things at home and also helping her husband on the farm. Meredith attended Faithway Bible Church in Worthington. She is survived by her twin sons, John Carr and Jack Carr both of Linton; brother, Everett Goodman of Lakeland, FL; sisters, Irene Bedwell of Sullivan, Phyllis Medford of Oolitic, IN. She was preceded in death by her husband, Bert M. Carr; brother, Harold Goodman; sisters-in-Law, Doris Goodman and Margaret Goodman. Funeral service will be held at Welch & Cornett Funeral Home in Linton at 1:00 pm on Thursday, January 24, 2019, with Pastor Terry Dowell officiating. Burial will follow at Fairview Cemetery in Linton. Visitation will be held at the funeral home on Wednesday, January 23, 2019 from 4-8 pm and on Thursday at the funeral home from 12:00 Noon until the time of service. Memorial contributions may be made to Faithway Bible Church through the funeral home.